Almost 5 years ago, our gardener gave me a couple of avocados from an old tree in his yard. At the time he told me he feared it would be the last harvest from this old tree since the annual yield had been diminishing over the past few years. Lucky for me, John doesn't like avocado, so I didn't have to share these two delicious avocados with anyone. I decided to try my hand at raising a tree from seed. I let the seed dry for a couple of weeks and then carefully removed the brown paper-like skin from the seed, inserted 4 toothpicks and propped in over a glass of water so the water covered about ½ the seed. I changed the water frequently and was finally rewarded with a thin stem poking it's head up from the top of the seed. I continued to nurse it until the roots were nice and long the and stem was about 6 inches high and had started to leaf out. We planted the seed in rich soil in a small pot. It wasn't long before it outgrew the pot and we moved it to a larger pot. When my baby tree was about a meter tall, we decided it was time to plant it in the ground. We picked a sunny spot in the garden, directly across from our terraza and bedroom window, and planted my baby avocado tree where I could watch it grow. The December winds of 2011 almost ripped my tree out of the ground, so John had to rig up some rope anchors just to keep it vertical. 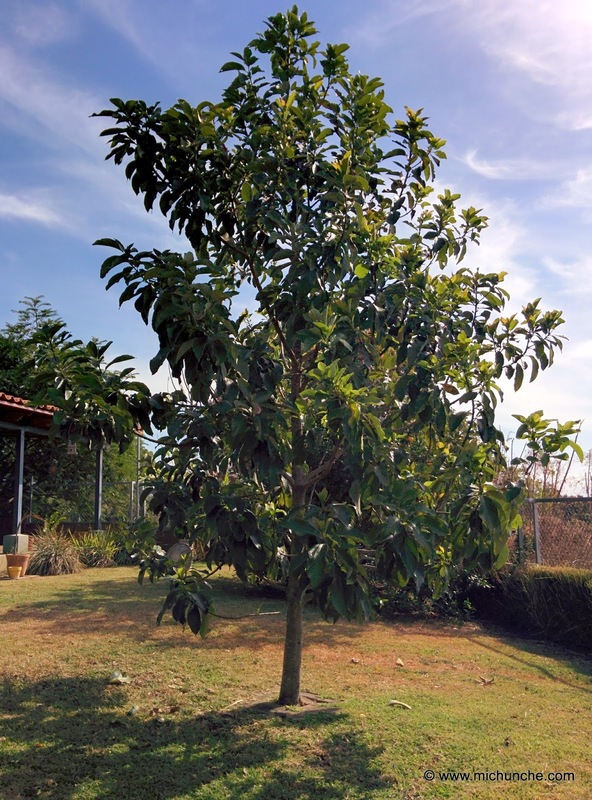 My beautiful avocado tree has been growing for several years. It must be close to 8 meters tall (25 feet) now, and so healthy it can withstands any wind mother nature wants to whip up. I wasn't sure it would ever produce any actual fruit, but I never gave up hope. This month I was rewarded with hundreds of blossoms. 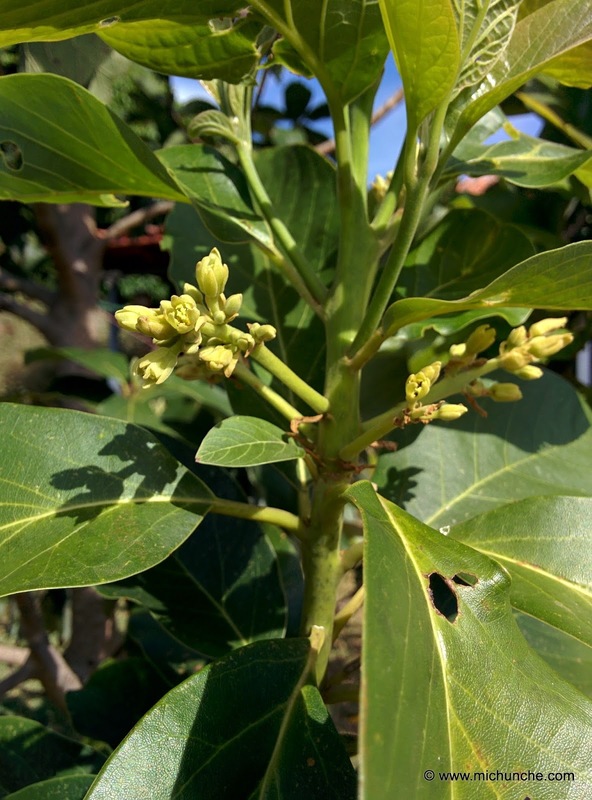 If we get some help from mother nature, these blossoms will get pollinated, and we just might have some avocado fruit to share in a few months.